DPfilms was one of the best choices we made for our wedding day. 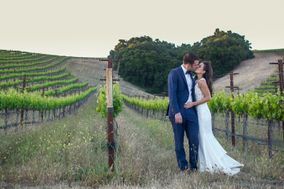 We booked the week before, but Derek was completely flexible and made it so simple. The quality of the video was fantastic, and the price you couldn't beat. We are SO excited to be able to beautifully relive our day through his lens, I would hire DPfilms over in second! Thank you for letting us be a part of your special day! We had such a blast and we are thrilled that we were able to create a beautiful film for you to relive your wedding day. Again Congrats on your new chapter!! Understanding and willing to understand your image And your expectations and dreams. Very knowledgeable and professional. Derrick went over and beyond for our photo booth. When I had concerns or questions, he was quick to response. His set up was elegant and neat. I highly recommend his services and will rehire for future events. This photo booth company is truly amazing. We hired them so last minute and we are so happy we did. They were non stop busy. They had tons of props and EVERYONE had such a blast. Thank you so much for being apart of our special day. I am referring y’all to everyone. They were so professional and so fun. They were even wearing props. Thank you so much again for all you guys did. Worth every penny. We had such a blast being a part of your big day and we're glad that we were able to provide you and your guests an amazing time!! Congrats Mr. & Mrs. Nealy!!! DP Films went over the top with their "LOVE" sign. It made the whole rehearsal dinner. It was breath taking. It was delivered promptly and set up quickly! I would not hesitate to hire this company again. We are so happy to hear that our LOVE Sign was a big hit at your sons' rehearsal dinner! And we are extremely glad that we were able to brighten up your guyses night with the power of LOVE! Some of the best money we spent on our wedding. Derek is fantastic, he does amazing work with his camera & drone. Incredibly flexible and easy to work with, he made sure he was there capturing every moment. We really appreciated everything him & his wife (our wedding coordinator) did for us. This is a hard duo to beat. He comes highly recommended. My husband and I are so grateful for Derek and Jade!! We weren't sure if we were going to be able to afford a videographer, but DP Film Productions made our dream come true! We contacted them last minute and they were happy to commit to filming our wedding day without meeting us. My husband and I were so impressed with them! Derek and Jade are professional, hardworking and creatively gifted. They were kind and so pleasant to be around. They were down to earth and they fit right in with all of us. It was great to have them there, especially with all of the wedding day jitters! Aside from their talents and pleasant demeanors, they made us the most beautiful wedding video. I know how hard they both worked to create the wedding masterpiece they did, my husband and I will always treasure our wedding video and all of the clips from the day! Lastly, I would just like to give Derek some major props. As a bride, I had so many questions and requests, both before and after the wedding. Derek was so patient with me and he always responded to my emails quickly. It gave me peace of mind knowing that he was reliable! By the way, sorry for blowing up your email and thank you so much for your time and effort! Derek and Jade are not only wonderful people, but great at their profession. They are also very passionate about their work, and that makes all the difference. If you are thinking about hiring them, you should do it :) Thank you so much you two! We will be forever grateful! Absolutely amazing experience with DPfilms Productions! Derek and his wife Jade (Wedding Coordinator) are TOP OF THE LINE! Not only did Derek capture everything we wanted for our wedding video, but he was so professional and fun! Jade and Derek are an amazing duo and I would highly recommend them to anyone I know. Thank you so much for your kind words! Your wedding was such a blast and we enjoyed every moment of it!! Congrats to the both of you on your new chapter!! The videos were everything we wanted from a quick sneak park to the most important parts of the wedding!!! I am so happy that I was able to provide you with a film that you will be able to cherish for years to come!! I wish you both a lifetime of happiness. Where to start... Jade and Derek are a dynamic duo! We were blessed to have them be a part of our special day. We loved everything! Jade’s coordination was phenomenal and she made me feel at ease the day of our wedding. She handled everything effortlessly. Our video we received from Derek’s awesome work was spectacular and brought me to tears and also my husband (*ahem even though he says he got something in his eye) I know he was feeling the same sentiment as I was. Thank you both Derek & Jade for the wonderful outcome. It was such an honor to be able to capture such an emotional day for the both of you. I am so happy that I was able to bring you a movie that was able to make Hector shed a tear. :D I wish the both of you a long loving marriage!! Amazing job from the start! I was so grateful to have Jade handle vendor coordination and last minute changes. Her calm, attentive, and positive energy was appreciated. Thank you for making Plan B look like Plan A. Knowing we did not have to worry about a thing on our daughter's wedding day was greatly appreciated. Thank you for helping bring to life a beautiful wedding! Derek and Jade were great! The day of filming they were very pleasant and didn’t miss a thing! The highlight video and full video were absolutely perfect! Our wedding video was so beautifully put together and surpassed all of our expectations! They are super talented! Thank you, Jennifer, for the kind words! We had such a great time capturing such beautiful and exciting moments of the both of you! I am happy that we were able to create a film that you two can cherish forever. Wish you both a lifetime of happiness! I can’t recommend DP Films enough. From the very beginning Derek and Jade were professional and listened to what me and my wife envisioned. They valued and respected my time, answered questions promptly and their pride in their product shows. We’re glad that we chose DP Filma to capture our wedding. They were flexible/affordable and our end result did not suffer because of it. Bottom line, I recommend DP to anyone that wants top notch people and results. I recommend that you opt for the package that includes the drone footage of your venue. Well worth the addition cost! Thank you guys! Thank you both for letting us capture such an important day in both of your lives. I am so pleased that I was able to capture all of your special moments and make you relive your wedding day all over again. I wish you both a long loving and happy marriage!! Made the memory of our special day more than we could of hoped for! My husband and I had an amazing experience with Derek and his crew. They were so fun and professional. They were very easy to work with.... we didn’t mind redoing moments of getting ready again to capture them perfectly. It’s important to let the professionals do what they do best. When we received the package with our video it was so beautifully packaged with so much care. We couldn’t be happier with the outcome of the video itself. I personally had no idea what to expect from a wedding video but it brought tears to my eyes when I watched it. We are so happy to have that day documented so wonderfully that we will always be able to rewatch throughout our lives. We are truly grateful and definitely know now the importance of having a videographer for your big day. Thank you so much, Derek! We got lucky and so grateful that we booked Derek and Jade to do our wedding video! Originally, a videographer was not in our budget, but after some careful consideration we added it in and it was well worth it. We are so thankful that Derek captured all of those little moments because it went by so fast. Every speech and part of the ceremony can now be remembered forever. I feel like Derek took our vision and gave us exactly what we wanted. It is truly something we will cherish and watch to relive the best day ever. Thanks DP Films Productions! Thank you for letting us capture your special day! Jade and I had so much fun film the both of you. Your wedding was beautiful and your family was amazing! Congrats on the new chapter in your lives! Our wedding video turned out amazing! From the moment we met you we knew we were dealing with an honest and nice person! We appreciated your easy going attitude and willingness to go out of your way to ensure we had one of the most memorable customer service experiences of our life! The most memorable impression is that Derek took the time to drive my wife and I from one location to another in order to capture film we wanted in our wedding. We had been drinking during our reception and Derek was so nice to drive us around keeping us safe and ensuring we filmed exactly what we wanted to capture.The day of our wedding was filmed just as we hoped and we must admit, it exceeded our expectations!. So many wonderful moments were captured at the right time, the right angles, and the drone footage was just amazing. Derek is definitely a professional and has a very high standard of customer service, as a customer I felt that he had our best interest in mind and he delivered as expected! Thank you so much for ensuring one of the most important days of our life is forever captured allowing us to treasure and share those memories with our loved ones for years to come. Thank you for the kind review! Jade had a blast coordinating your wedding and I had a blast filming it. We are so happy that everything turned out great for the both of you. Again Congrats on the new chapter in your lives! We hired Derek Preciado to film my mother's funeral service. Even though he was hired at the last minute, Derik was so accommodating and able to help us out. He was able to capture the beauty during my mom's Mass and turn a sad occasion into a beautiful masterpiece that will be treasured for generations to come. He has a great eye for cinematography. He went far above and beyond filming the entire family during the evening and captured the mass in a way that family who weren't able to attend felt as if they were there. Derek's drone footage, videography and photography skills were top notch. His added drone footage was icing on the cake! For the final product, we were given a beautiful DVD that even included a menu with scene selections and a custom photo of my mom and I on the disc. We would highly recommend his services for any occasion! Outstanding work, Derek Preciado! My entire family extends their gratitude for your hard work from beginning to end. Thank you, Sergio, for letting me be apart of your families very emotional day. I am happy that I was able to capture that emotional day for you and your family. Derek & Jade were amazing to work with. They made sure to understand exactly what we were looking to capture and try to understand our personalities prior to the wedding day. They showed up right on time and even stayed through longer than expected to make sure they had what was needed to complete the video. We absolutely love how the video turned out and is the thing we have shared with friends and family the most that were unable to attend our wedding in person.